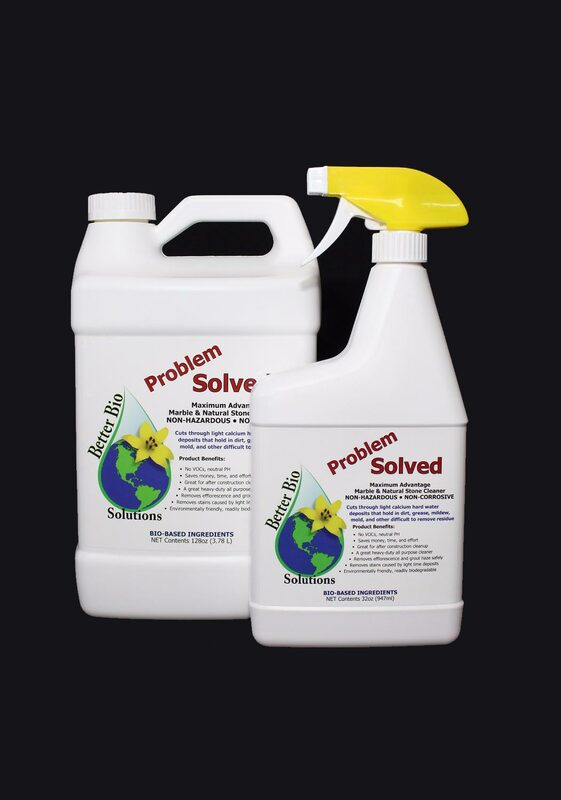 Problem Solved removes light calcium hard water deposits, grease, food, and grime from marble, granite and natural stone with ease. 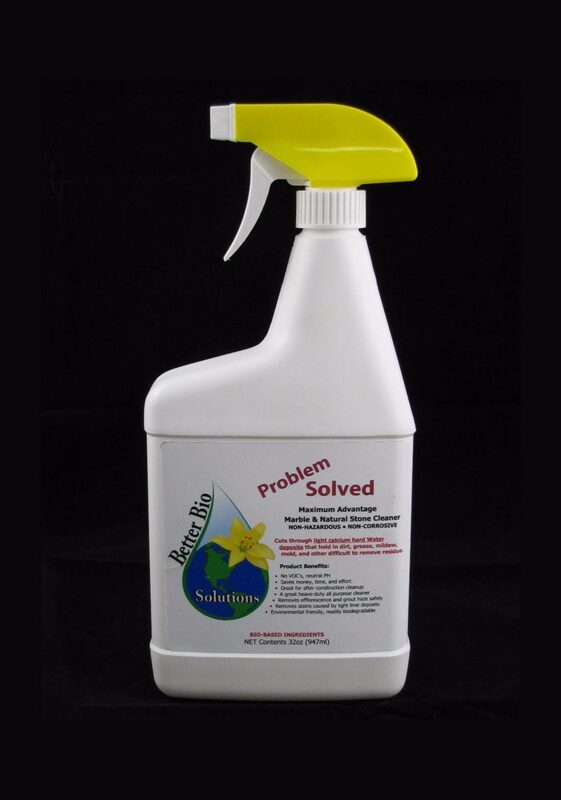 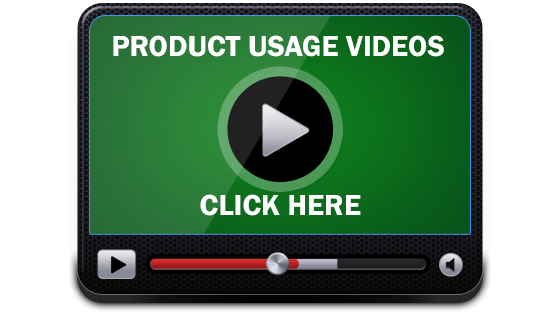 Field testing by tile and stone restoration experts with incredible results and no harm to stone, tile, and grout. 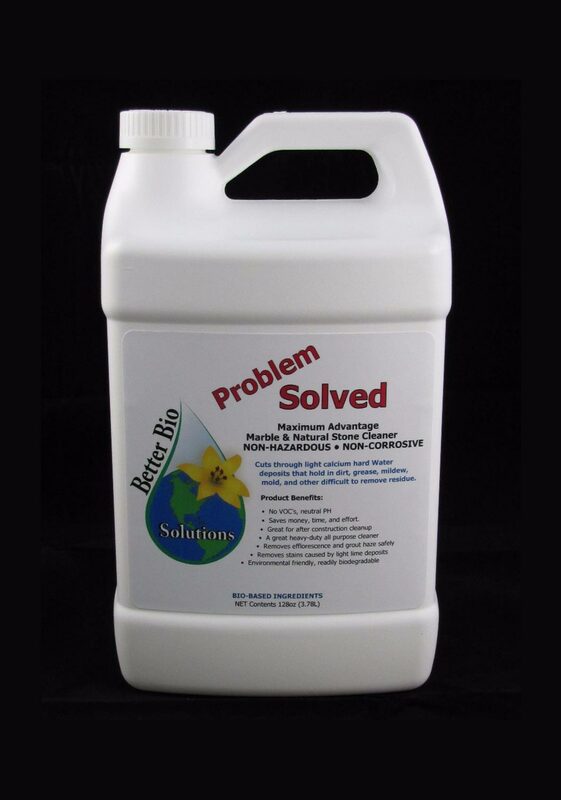 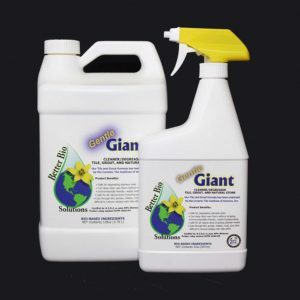 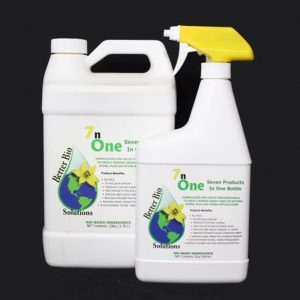 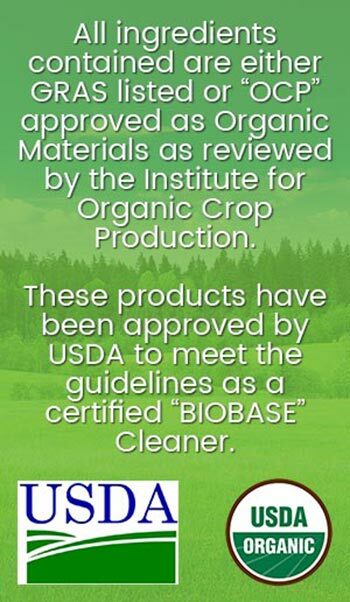 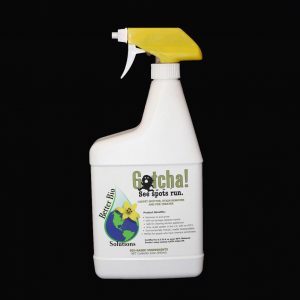 This product is a safe, deep penetrating, bio-based cleaner for natural stone.